Every great project starts with a great design. Contact one of our expert designers to create your dream backyard retreat. Our designers are experts at marrying the beauty of Nature and planted softscapes with the structure and rigid texture of hardscape elements to bring you the perfect blend of function and beauty. We meet with you at the site of your project to discuss your dreams for the area. We will ask you several questions to determine your personal style, your home style, and the functionality of the property. Once we have established your goals for the property, we will assess the site conditions: Sun exposure, soil conditions, we will take a soil sample, determine the drainage needs, address privacy, wind, and noise concerns. At this point we will start working on creating your design. This process takes 2 weeks. After 2 weeks we will make an initial design presentation appointment to meet with you and review the design. 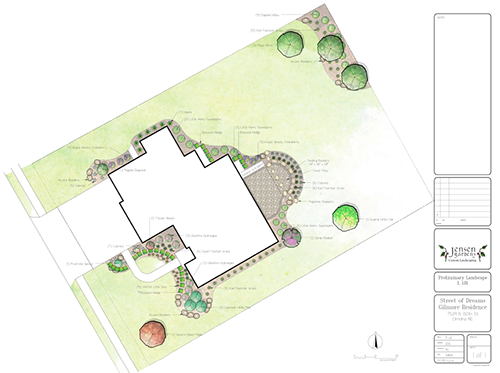 At this meeting you will see a full color 18”x24” CAD drawing of your project to scale. We utilize the latest Landscape CAD design software programs. We can also present a 3D conceptual video of your project. At this time we discuss the design and go over the details. Ideas and changes to the drawing can be made easily and changes can be saved on a new CAD file. Once the design is reviewed we will then present the estimate for installation of your project. A lot of our customers chose to install the design in phases, while some prefer to install the entire project at once. Our designer can help you determine what works best for your project. 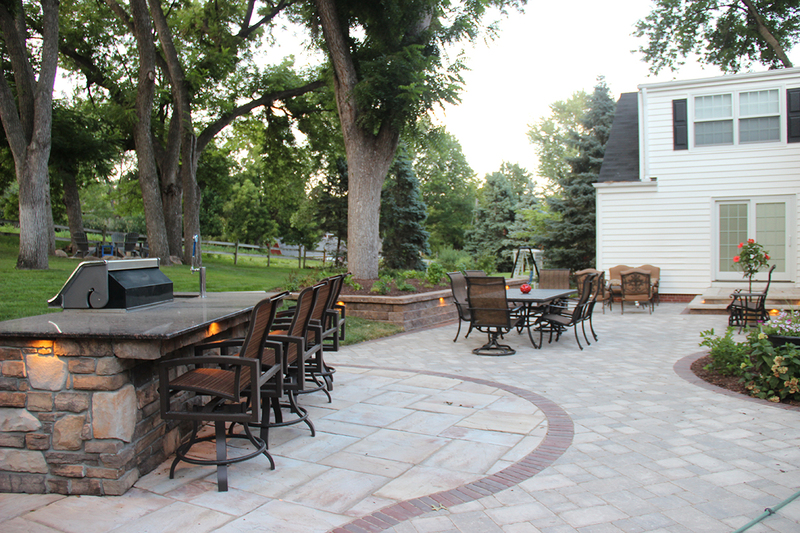 Hardscape Crew – Specializes in hardscape construction of patios, pool decks, retaining walls, driveways, outdoor kitchens, grills and fire pits. Each crew foreman has over 10 year experience. Each of our three crews takes great pride in their work. What separates a good project from a great project? The details. Our crews are big on details. We take the time to make sure every detail is perfect, every patio corner paver gets 4 miter cuts, every shrub is hand selected. Every retaining wall cap is snapped to give it a rough face and overhangs to match perfectly. Is there a faster, cheaper way to install? Yes. Do we do it? NO. There is a reason that we do not have 20 installation crews; we only want the best crews and employees who are passionate about what they do and proud of the projects they make come to life.